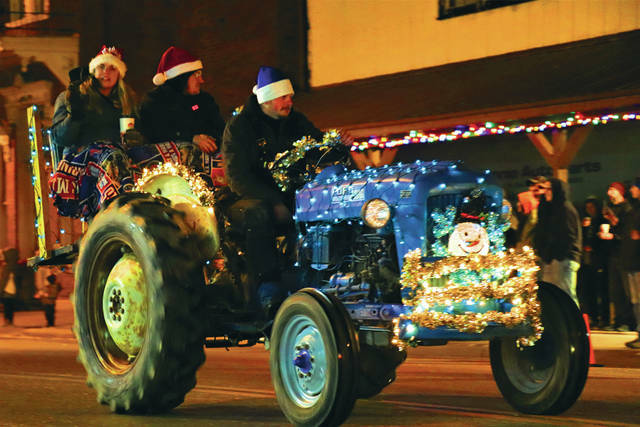 Ansonia Community Pride hosted its inaugural Christmas Tractor Parade on Saturday. 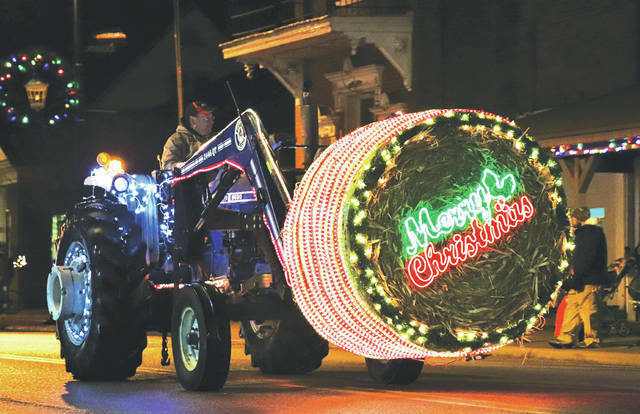 ANSONIA – Ansonia Community Pride hosted its inaugural Christmas Tractor Parade on Saturday. The parade followed a route starting at the First Church of God in Ansonia, then proceeding down State Route 118 to Ansonia High School. Several local businesses were open late during the event. Ansonia Community Pride was formed about two and a half years ago, according to member Erica Wentworth, and is made up of a group of citizens who wanted to get involved in their community. The group started by planting flowers downtown and has done many projects since then, from hanging banners honoring local veterans to supplying the local playground with equipment. Ansonia Community Pride then moved on to hosting small events. According to Wentworth, it was easy getting the rest of the community to pitch in. The Ansonia Park Committee also held a pancake breakfast at the American Legion Saturday morning from 9 to 11 a.m. Children present had the opportunity to have their pictures taken with Santa Claus. A holiday bazaar then took place in the American Legion Hall from 1 until 5 p.m., featuring numerous crafts and vendors. Wentworth was proud of how Saturday’s festivities unfolded. 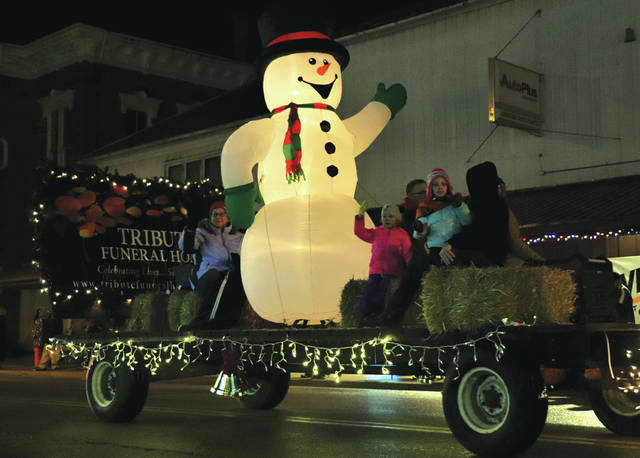 Next year’s tractor parade will take place Dec. 7, 2019, Wentworth said. Ansonia Pride also has plans to expand its veteran banner program, as well as to paint a mural downtown. Wentworth thanked community members for getting involved while also encouraging more Ansonia residents to take an interest. Those interested in getting involved can contact Ansonia Community Pride at 937-417-7961, via email at ansoniacp@gmail.com or visit the Ansonia Community Pride Facebook page. This entry was tagged Ansonia, Ansonia Community Pride, Christmas Tractor Parade, parade, Tractor Parade. Bookmark the permalink.